All these years, everyone has been looking for a clean energy solution for their homes, businesses and farms. 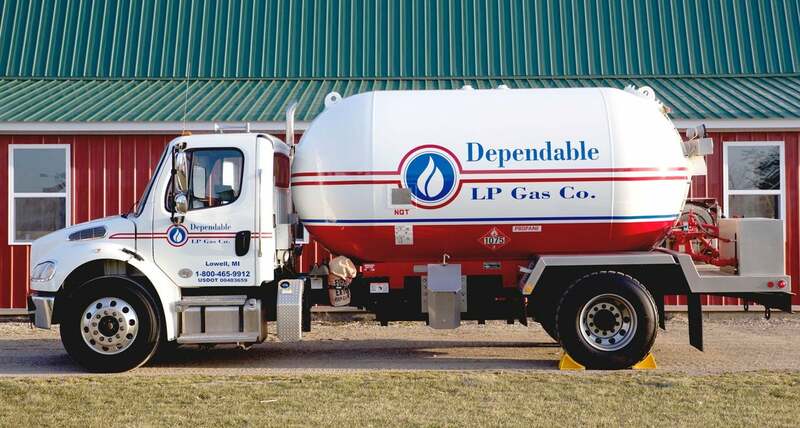 Dependable LP Gas Co. is here to deliver you a premium propane gas in Caledonia, Michigan. We’re sure that you are looking for ways to warm your homes using clean energy. And to do this, trust a dependable propane company! We can offer competitive rates with a prompt service. We can even set up a budget plan for you for your convenience. We offer residential, commercial and agriculture propane services in Caledonia, Michigan. No matter what we haul to where you & Dependable LP Gas Co. is ready, steady and safe to go the extra mile for you. As a family-owned company, we take pride in treating our customers like family, the way we like to be treated. If you have an emergency, we are available 24/7 to dispatch someone at your home for a refill. If you have any questions about our residential, commercial and agriculture propane services, do not hesitate to call us at 616-897- 4225 and 1-800- 465-9912 or e-mail us at chris@dependablelpgas.com. We look forward in serving you soon!